The Ireland U-18 Schools team to play France on Saturday in the U-18 Six Nations Festival has been named, with six Ulster players in the starting XV. Peter Smyth’s Ireland U-18 Schools squad will face France in Hartpury this Saturday, tournament hosts England at Sixways Stadium on Wednesday week (April 17), and will finish the festival at Kingsholm Stadium on Easter Sunday against Wales. Smyth, who is in his second season as head coach, will be assisted by Mossy Lawler and Colm McMahon. Pres. Cork’s Alexander Kendellen, one of six players who lined out at the festival last year, will captain the side from Number 8. Jack Boyle, Tom Stewart and Oscar Egan will start in the front row with Darragh Murray, who captained Connacht to victory at the IRFU U-18 Interpros, paired alongside Alex Soroka in the second row. Kendellen is joined in the back row by Will Hickey and Reuben Crothers. 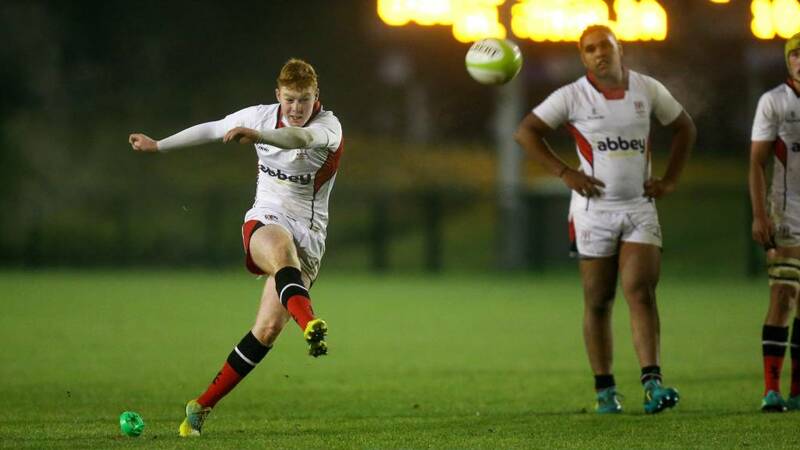 Conor McKee and Nathan Doak form an all Ulster partnership in the half backs. Ben Carson and Karl Martin are named in the centre with the back three comprising wingers Aaron Leahy, Jamie Osbourne and fullback Chris Cosgrave.